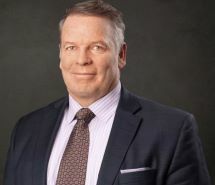 Andrew J. Maloney, III joined Kreindler & Kreindler LLP in 1994 and is a 1985 graduate of Boston College and received his Juris Doctorate degree from Fordham University School of Law in 1988 where he was on the Dean's List and a member of the Urban Law Journal. He was elected partner in January 2005. Mr. Maloney focuses in aviation litigation as well as general products liability, medical malpractice and general negligence cases trying, mediating and appealing cases in state and federal courts throughout the country. While at the firm, Mr. Maloney briefed and argued a case before the United States Supreme Court on the Westfall Act which governs scope of employment under the Federal Tort Claims Act for federal employees. He has also published an article in the New York Law Journal on the government contractor defense reflecting some of this work on litigation against military contractors for the V-22 Osprey aircraft which is currently being deployed for the United States Armed Forces. In addition to the many cases he has litigated at the firm, he participated in one of the largest personal injury settlements in the State of Connecticut involving a charter plane crash at the Bridgeport Airport and some of the largest recoveries under the Military Claims Act involving an Air Force plane crash in Dubrovnik, Croatia. and British Norman Islander crash in Tortola. These complex litigations involved issues regarding the aircraft or component part design, manufacture, warnings and instructions, pilot error, Air Traffic Control error, weather and combinations thereof. Additionally, complex choice of law issues were often triggered. In addition, he achieved a rare reversal of the NTSB's conclusion of pilot error and exonerated the deceased pilot's actions in proving the true cause of the crash was a product defect. He has also successfully represented commercial pilots in a benefits dispute with a major U.S. carrier and its pilot union. Mr. Maloney won a five-year pro bono fight with the U.S. Department of Justice to gain well-deserved recognition, under the Federal Safety Officer's Benefits Act, for Glenn Winuk, a volunteer firefighter and EMT who was killed on September 11, 2001. Mr. Winuk was a partner at the law firm of Holland & Knight whose office is approximately two blocks from Ground Zero and ran toward the Twin Towers and into history, when he saw his fellow citizens in danger. Winning the Winuk case and obtaining recognition for Glenn, was among Mr. Maloney's proudest professional achievements. The firm charged no fee to the Winuk family. (Read the press regarding this story.) As a result, the American Association of Justice awarded Mr. Maloney the "Pro Bono Lawyer of the Year" in 2008. Mr. Maloney himself has served as a volunteer firefighter for the last 10 years, including duties at the World Trade Center in the days after the attacks. Mr. Maloney has also been appointed to the Plaintiffs Executive Committee prosecuting the civil suit against the September 11 terrorists and their co-conspirators currently pending in the New York Federal Court. Mr. Maloney obtained dozens of multi-million dollar awards through the hearing process conducted by the September 11 Victim Compensation Fund run by the Justice Department. Mr. Maloney recently successfully tried a products liability case involving a failure of a steel bracket at a construction site in Connecticut that resulted in a multi-million dollar judgment. That case made new law in the Connecticut Supreme Court which abolished the defense of superseding cause and further led the manufacturer to change the design of the product and quality control procedures as a result of Mr. Maloney's cross examination at trial resulting in a safer product. At another recent trial representing the estate of a woman killed by a ceiling collapse in her apartment, defendant landlord and the nearby hospital that failed to diagnose her internal bleeding, settled the case before closing arguments for more money than was demanded just prior to jury selection. He also successfully mediated the malpractice of a prominent New York doctor and hospital that perforated the patient's duodenum causing infection and death over the next 30 day; and a case against a plastic surgeon who failed to diagnose and treat patient for a pulmonary embolism that caused her death a few weeks after surgery. In an automobile products case he obtained a million dollars for a woman who was seriously injured and successfully mediated a complex products case involving a death of a worker under a hydraulic cargo lift, demonstrating his wide range of skill in products and negligence cases. Prior to coming to Kreindler & Kreindler LLP, Mr. Maloney was a federal prosecutor in the Southern District of New York conducting a variety of federal criminal investigations, trials and appeals working with the FBI, DEA, ATF, Secret Service, Postal Inspectors, NYPD and United States Marshals among other investigative agencies. Consequently, he has represented victims of crime against their criminal assailants and third parties who had a duty to protect, most recently winning cases against a mental hospital for releasing a dangerous patient who shot and killed persons at a church; a night club bouncer who assaulted and hospitalized a patron; and a law firm who assisted an art fraud con man. Before the United States Attorney's Office, Mr. Maloney clerked for the late Lloyd F. MacMahon, United States District Judge, Southern District of New York, where he began his trial work training and was later an associate at Mudge, Rose, Guthrie, Alexander & Ferdon. He is currently the co-chair of the Mass Torts Committee in the Litigation Section of the ABA, and the former co-chair of the Aviation Litigation Committee for the ABA and frequent CLE author and speaker at aviation programs. He is also a member of the Federal Bar Council and serves on its scholarship committee and has written for and spoken at various seminars including the Air-Law Symposium at SMU on multi-district litigation, the New York City Bar Association on September 11 issues, and the Mass Torts Made Perfect-Product Liability seminar on aviation litigation and Embry Riddle in Phoenix. He recently served for several years as Chairman of the Aeronautics Committee for the Association of the Bar of the City of New York. Mr. Maloney is admitted to practice in New York, Massachusetts, Connecticut and the District of Columbia, as well as the federal courts in the Southern and Eastern Districts of New York, the Districts of Connecticut and Colorado, the Second and Third Circuits, the United States Supreme Court and U.S. Court of Federal Claims.